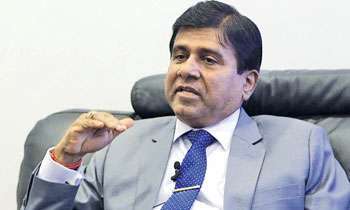 Although the SAITM institute had awarded scholarships to its students they would not be entitled financial scholarships at the General Sir John Kotelawala Defence University (KDU), Minister of Higher Education Wijeyadasa Rajapakshe said today. These jokers are creating one mess after the other. Wijedasa is so ignorant here. KDU course fees is not 1/3 of what they've got to pay to SAITM. Its 1.3 million a year which is more than SAITM fees. But the thing is that scholarship holders and even those who have already paif the full SAITM fees need to pay extra at this rate per year. Double payment. As a citizen I do not accept playing with young students lives. Now! how long has passed. Even they has political connections to get in to the SAITM, they should have fair resolution for their problem. Otherwise those people become doctors and hates to the society and kill innocent people. so people has to check about doctors history before getting treatments. SAITM - Mr.NF Hospital has to pay for it and not the students. This minister is not suitable for a portfolio. Before he gives ridiculous statements he should inform himself about the facts. Either this man is ignorant or just stupid. 10 Students received Rs.10 Million worth Scholarships under the influence of the ex- President. - Is it on merit, on charity, because of poverty, as the only way to go ahead with the studies, as both are from the same political party. Whatever the reason is, let us know the correct reason. This is Sri Lanka. No bluffing in any way, is acceptable.